But what makes contents restoration complicated? Is it the sheer volume of property contents which need to move through multiple moving facets of an operation, each laden with deep and delicate logistics? Is it that fact that the smallest of errors can impact the entire business and related organization? Is it that it is powered by humans, prone to honest errors? Is it because there are many connected parties, each with their own sets of demands and requirements? Is it because the physical logistics often never match the required logistics? Is it because an increase in volume takes an already complicated service to unmanageable heights? Our competitors claim their software is simple. Take it for face value: it is “simple”. Simple however does not work for the Industry’s top producers and contents restoration facilities. 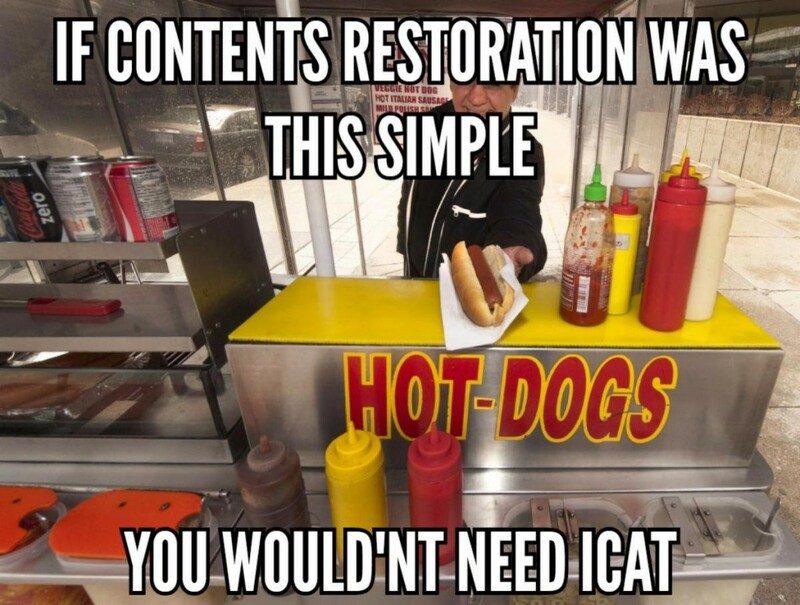 They know what they want and why, because they understand the demands of Contents Restoration: the complicated minutia associated with contents processing and the steps required to actually deliver happy insureds is the reason why serious contractors choose iCat to power their modern contents technology infrastructure.